As we begin to put the finishing touches on our Holiday Catalog, we thought we would take a closer look at some of the designs and prints our customers have loved over the years. Among them, is the often fanciful and inspired artwork, Chinoiserie. 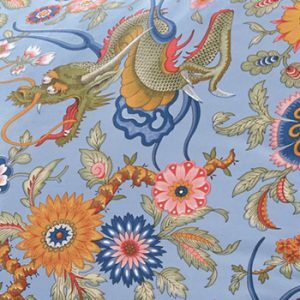 Known for its inspired drawings of mythical figures and exotic landmarks, Chinoiserie is a long-standing traditional style of print in the world of design. 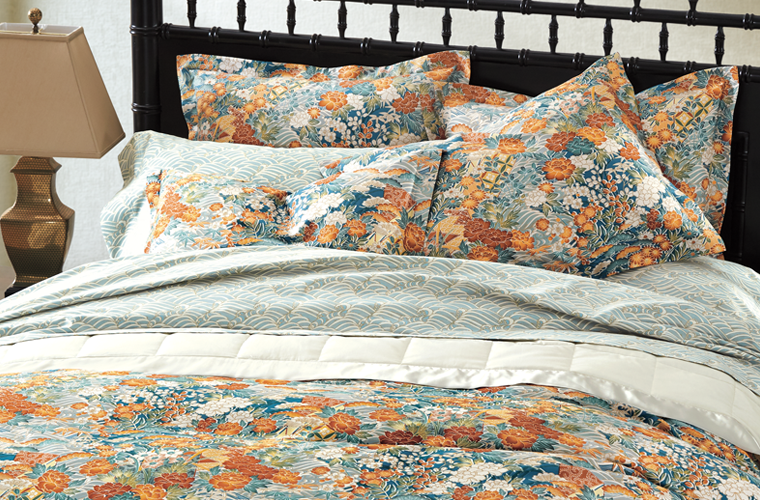 It’s also a Cuddledown customer favorite on our bedding and sleepwear. Derived from the French word “Chinois,” the practice dates back to the 17th century, when Europeans would paint renderings of Asian life for decorative purposes, in many cases reinterpreting and re-imagining what they perceived Asian culture to be without actually visiting those countries. Among some of the earliest types of Chinoiserie were practical pieces like folding screens, tea sets, clocks, ornamental dishes and other pieces of furniture, that were sold among travelers as trade between the British East India Company and Asia continued to grow. Oftentimes these pieces would be decorated with images of everyday life, scenic landscapes, or floral patterns, but would also broaden to include fanciful interpretations of mythological lore and other tales. Soon enough, Chinoiserie began appearing as fine art in galleries, valued among the wealthy of the day, and eventually, as clothes. Crafted from fine silks, Banyans became a staple among wealthy of aristocrats of the day, marking the first major inclusion of Chinoiserie in fine apparel. Later this trend would develop in the 1920’s and 1930’s where Chinoiserie experienced a resurgence again among wealthy elites looking to add an exotic flair to their dress. 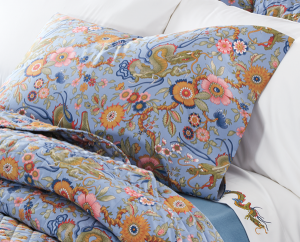 Today, Chinoiserie can be found in a variety of bedding and sleepwear designs, across a number of different fabrics. 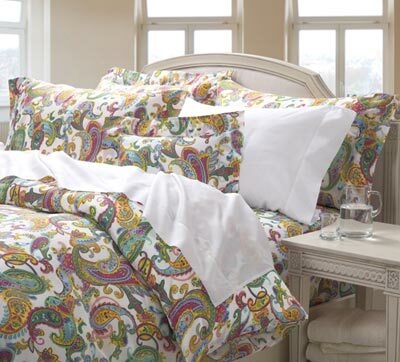 So if you’re looking for classic, yet exotic style for your home, be sure to check out Chinoiserie! Last night I didn’t get to sleep at all – are separate bedrooms the answer? Too hot to sleep? Try these cooling sheets!